An auction featuring more than 70 lots of rare whiskies, including a 1964 Fino Cask Bowmore, has raised £212,000 for charity this week. The bottle of Bowmore, which sold for £31,000, was the highest earner of the evening, followed closely by a Balvenie 50-year-old distilled in 1952 and bottled in 2002, which sold for £30,000. Other lots included a bottle of 41-year-old, Port pipe-matured Dalmore from 1976, which sold for £19,000, and a distillery bottling of Glenfiddich 50-year-old laid down in the 1930s, which was auctioned for £18,000. The annual Worshipful Company of Distillers’ Charity Auction, held at Mercers’ Hall in London on 10 April, raised the money for three separate charities: the Distillers’ Charity, which supports industry training and education, the Alcohol Education Trust, established to improve alcohol education for young people in Scotland, and the Lord Mayor’s Appeal which creates more opportunities for young people in London. The auction, conducted by David Elswood of auction house Christie’s, also sold unique experiences in addition to rare whiskies, with bidders vying for lunch in St James’ and a day of whisky making at Cotswolds distillery. A selection of ‘exceptional’ whiskies have been sold to raise funds for environmental charities. The distillery map from the BBC’s Scotch! The Story of Whisky series will be auctioned for charity. 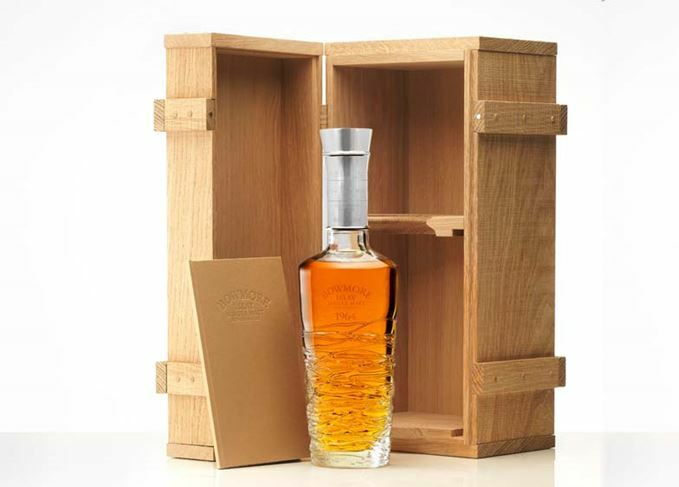 Even more rare and ‘exceptional’ bottles have been added to Whisky.Auction’s charity auction. The Australian distillery is maturing a cask of whisky aboard a cruise liner.